Researchers from Samsung Medical Center have published a study that showed proton therapy to be an effective and safe treatment for liver cancer. Proton therapy is a type of radiation treatment that uses positively charged particles called protons to destroy cancer cells. The research team, led by Professors Park Hee-chul and Yu Jeong-il from Samsung Medical Center’s department of radiation oncology, studied 101 patients with liver cancer who got proton therapy for one year starting in Jan. 2016. Professor Park Hee-chul from Samsung Medical Center and his research team have published findings of the benefits of proton therapy on liver cancer patients. According to the research team, almost all patients saw notable improvement with proton therapy administered as an alternative to local cauterization treatments such as surgery or high-frequency heat therapy. Of the 78 patients who underwent a three-month follow up after proton therapy, around 70 percent (54 patients) had their tumors completely disappear, and about 18 percent (14 patients) saw their tumor size shrink. Almost 90 percent of the patients tracked over three months maintained class A status on the Child-Pugh score, findings showed. Patient safety – considered to be the greatest strength of proton therapy – has been proved again by the study, the researchers said. Samsung Medical Center pointed out that proton therapy reduces adverse effects of existing radiation therapy and requires a lower dose of radiation. 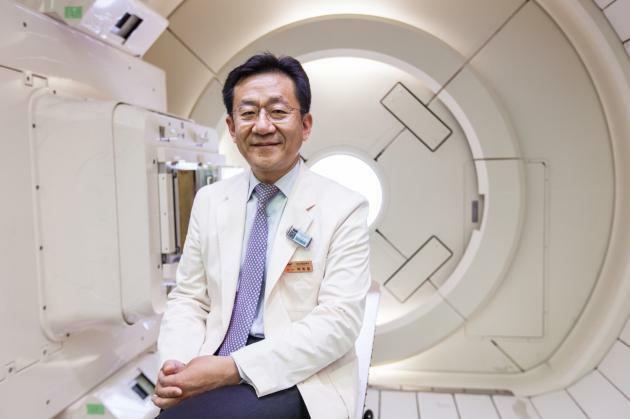 “Although we are at the initial phases of introducing proton therapy, examining cases from advanced countries raises the hope that the therapy will bring positive results to the patient in the long-term,” Professor Park said. “We will focus on improving the quality of life of patients by further studying to improve treatment efficacy and long-term side effects of proton therapy through additional studies,” Park added. The results were published in the recent issue of the Korean Society for Radiation Oncology (KOSRO).